San Francisco, the heart of Northern California is a place of entertainment. The Golden Gate city is situated at a peninsula tip and surrounded by the Pacific Ocean on the west, San Francisco bay on the East, a crooked marine passageway between Marin Country and San Francisco on the north. Besides, the state soars in the financial, commercial and cultural sectors. When we consider the population, San Francisco stands in 13th rank in the United States of America. San Francisco population is calculated to be one million by the year 2033. Restaurants, steep streets, cable cars, and the world famous chefs are the limelight of the State. 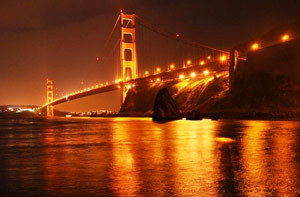 The wonderful city has several names such as Golden Gate City, The Paris of the West, and The City by the Bay. The populous city welcomes the tourists and locals with many activities, sightseeing. The photogenic Golden Gate Bridge is the world-renowned one. It has been announced as one of the modern wonders. In 1937 the bridge was opened officially. During that time, the Golden Gate Bridge was the longest suspension bridge. Sturdy steel supports the 1.7 miles lengthy bridge. On the six lanes bridge, million passengers have been crossing every year. People used to travel by ferry before the construction of the Golden Gate Bridge. When you plan to tour San Francisco, walk around the Golden Gate Bridge to feel the majesty. Cable Car San Francisco has been their pride transportation. In 1873, the Cable car system was initiated. As the system reached people well, was lucrative, the owners made many cable car lines. In the past years there were totally 23 cable car lines in the city. But, now only three lines are available. Most of the tourists would like to travel in the cable car to make their trip unique and memorable. When we take a statistics, over 75% of the tourists include Fisherman’s wharf on their trip plan. Fishing fleet and waterfront marketplaces compose a great fish story. Seafood stalls, sea lions, fishing boats, seafood restaurants and French bread bakeries showcase the familiarity of the Fisherman’s wharf San Francisco. One can see many shops in every corner of the place. Two cable car lines and F-line streetcar transport is getting an end here. Pier 39 San Francisco is a popular tourist spot in the city. This attractive place is being a home to shops, kid’s activities, restaurants and more. The travelers can enjoy with the Aquarium of the Bay, the sea lions here. The touristy offers a lot of fun. Pier 39 is on the northeastern side of the Fishermen’s Wharf. Alcatraz was the former central prison where notorious criminals were imprisoned. But, today Alcatraz San Francisco is the iconic landmark and most sought out attraction in the Bay area. Alcatraz is about half a kilometer from Fisherman’s Wharf. This Island visit makes the tourists to visit the cell house where the infamous prisoners stayed. The Golden Gate Park is the greatest asset of San Francisco. It is definite every year over 13 million visitors come here. 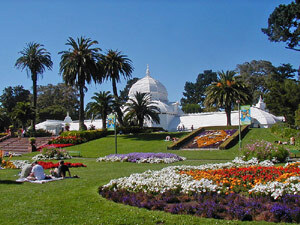 William Hammond and John McLaren, the horticultural experts, designed the picturesque public Golden Gate Park San Francisco. The park has been the entertainment and fun site for the locals and tourists. Lombard Street San Francisco is declared as the most crooked street. The street is steep and it is hilly. There are eight sharp curves in the street. In the landmark, thousands of visitors walk and drive. The Russian Hill Mansion with aromatic flowers surround the Lombard street. It is flamboyant as a variety of flowers blossom in the spring and summer seasons. Knowing San Francisco weather before preparing your itinerary is quite wise. July is the hottest month and January is the coolest month. The average climatic condition falls in August.